The Macomb County Hazard Mitigation Plan identifies natural and human-caused hazards that pose a threat to the community; it ranks the hazards based on the potential threat they pose to the population, property, and the economy; and it recommends projects to reduce or eliminate the potential impacts of the identified hazards. Each community in the county, as well as the county itself, adopts the plan as the official hazard mitigation plan for the jurisdiction. The plan was last revised in 2014, and was approved by the Michigan State Police Emergency Management and Homeland Security (MSP EMHSD) and the Federal Emergency Management Agency to cover the timeframe of 2015-2020. Beginning in September 2018, Macomb County Emergency Management along with the communities located within the county will be updating the plan to cover the period of 2020-2025.  There are several areas within the plan where the public can provide valuable feedback, and we encourage Macomb County residents and business owners to get involved. From now until May 1, 2019, members of the public can review and provide their perspective on the content of the Plan by posting their comments at the “Contact Us” location. All responses will be taken into consideration for the final plan’s content. Please check back to this website periodically for updates on the planning process, including new draft plan sections to review. The draft version of the updated Plan for 2020-2025 is placed below for your convenience.